The Aftershock XD proved tough at this year's King of the Hammers so we jumped at the opportunity when Arisun reached out to provide us with a set to test at this year's Discount Tire Rally on the Rocks. 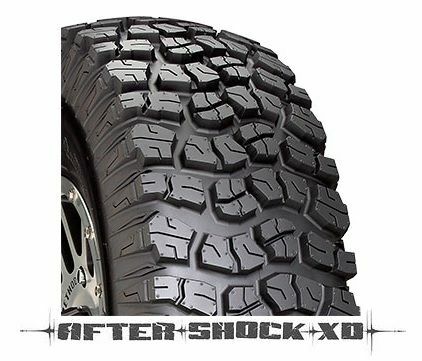 At first glace, the Aftershock XD features a tread pattern similar to leading Light Truck (LT) mud terrain tires. 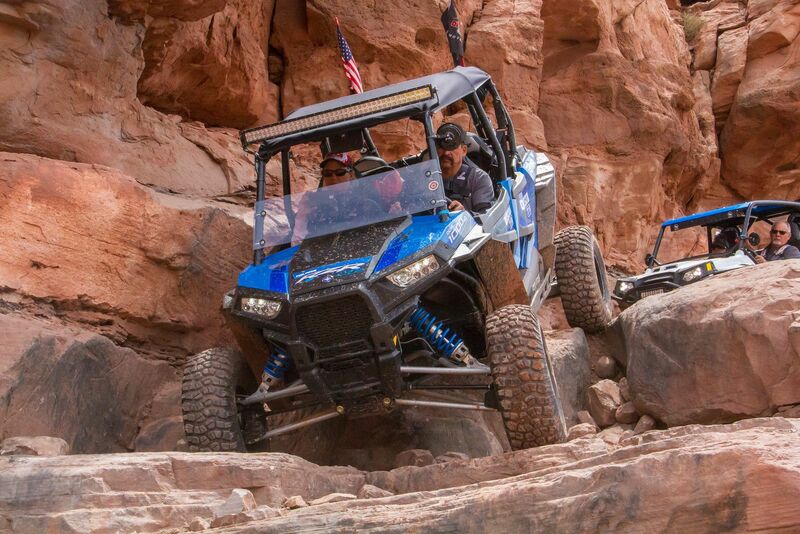 With large tread blocks, siped knobs, and high void ratio, the Aftershock XD is poised to tackle the toughest terrain. 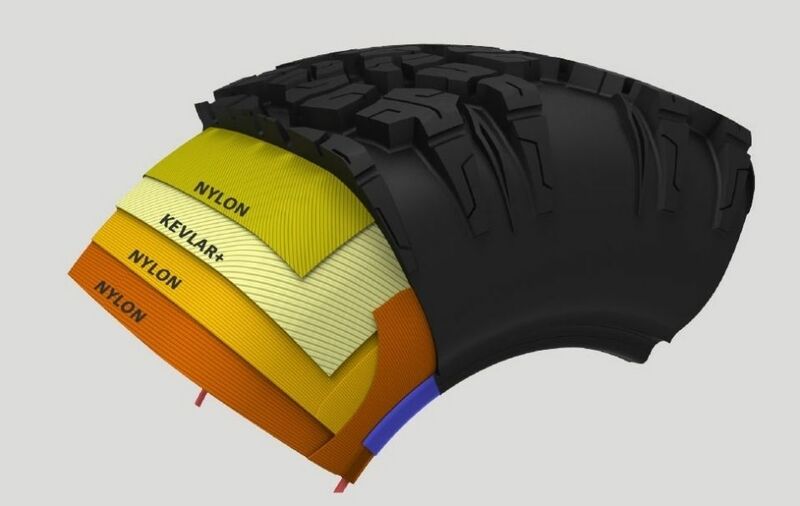 To accurately gauge a tires toughness though, you need to know what's going on inside. The 8-ply rated radial Arisun Aftershock XD utilizes an exclusive anti-puncture technology called K3D Armor. K3D Armor is a lightweight aramid reinforced composite material placed between two layers of nylon that wraps around the shoulder/ sidewall for added durability and puncture resistance. After a week of testing on trails ranging from Wipe out Hill and Cliff Hanger, to Poison Spider and Moab Rim, the Arisun Aftershock XD held up to the punishment of the rugged Moab rocks and not once left us with a flat. If you're after a durable 8-ply rated tire for your side by side that can handle the harshest of terrain, the Aftershock XD by Arisun may be the right tire model for you. To view more photos of the Arisun Aftershock XD in action, check out the slideshow linked below. Closely spaced tread blocks provide a smooth ride on hard pack terrain. Tread block siping improves grip on wet and slippery surfaces. Shoulder and tread styling characteristics similar to light truck tires. Specially formulated rubber compound is flexible yet durable for harsh conditions found in Desert Cross Racing. At Arisun Tires, we utilize state of the art manufacturing equipment and have invested in a high tech R & D center ensuring that the latest innovation and technology are integrated into every tire. We only use the best compounds and rubber in making our tires. We also use extreme anti-puncture protection called "Arisun Armor" in our line of ATV and UTV tires. We take great pride in producing tires that are rated among the best in the world. Last edited by Discount Tire; 06-16-2015 at 11:08 AM. That's a really good looking tire and it sounds like it performs great as well! I may have to consider these for my next set of tires. Thanks 4Nines. I know you could put it through it's paces. This tire is very tough with the K3D armor technology. With tough K3D Armor 8-ply radial construction, the Arisun Aftershock XD tires have been a big hit with the UTV racing community. So much so, Arisun has decides to offer this model in two(2) additional sizes.